Change of command at the signal company of Eurocorps in Lebach. 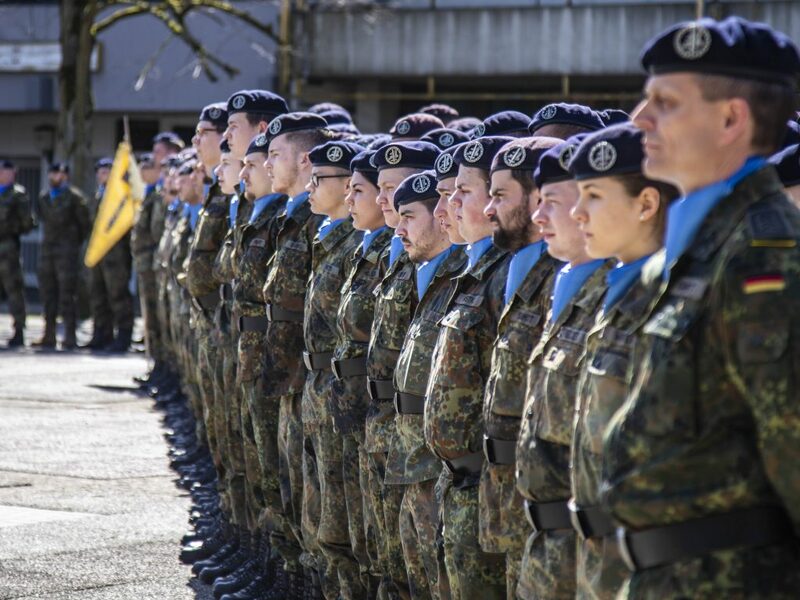 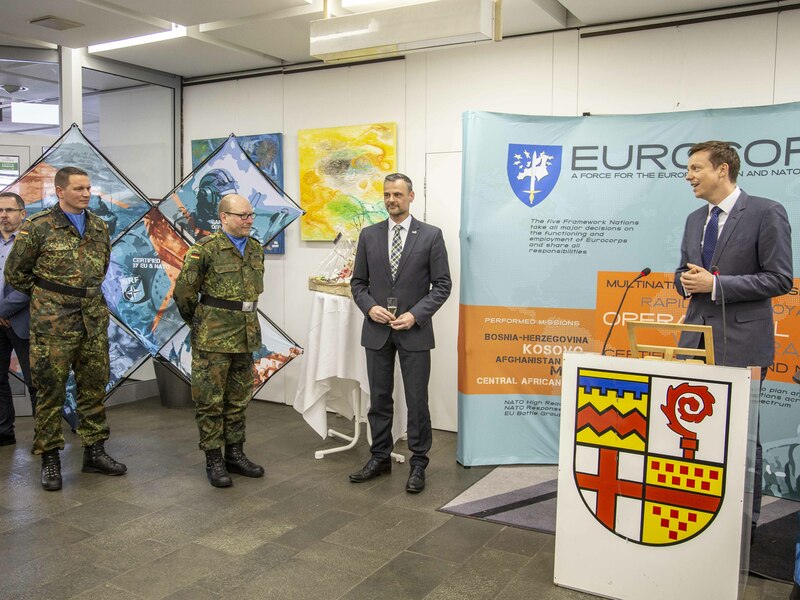 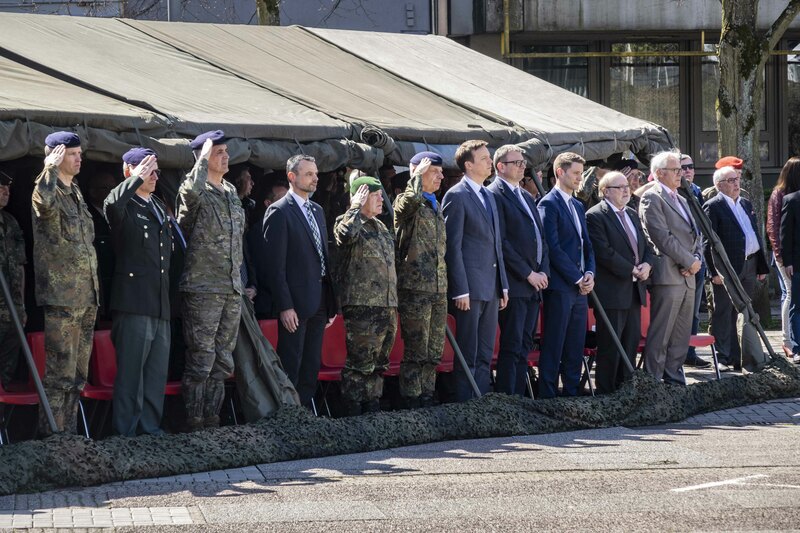 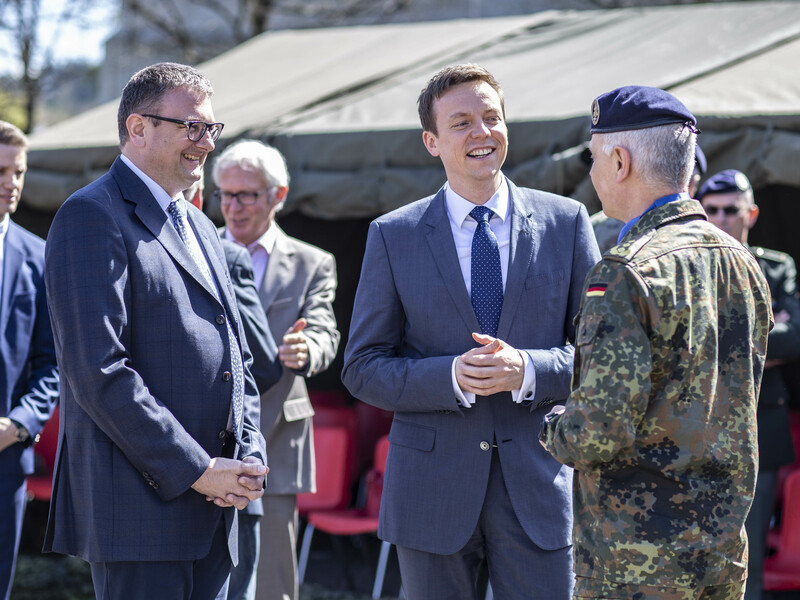 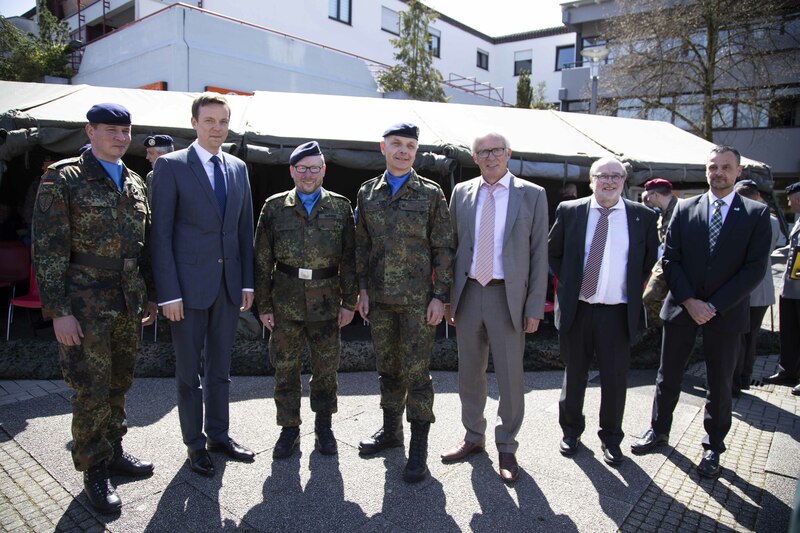 The Military ceremony were attended by the President of the Federal State of Saarland, Mr Tobias Hans, the Commander of Eurocorps, Lieutenant-General Jürgen Weigt, and a higher number of authorities of the public life. In his speech the president of the federal state underlined the outstanding relations between the soldiers, the town and the Federal State and their professionlism. 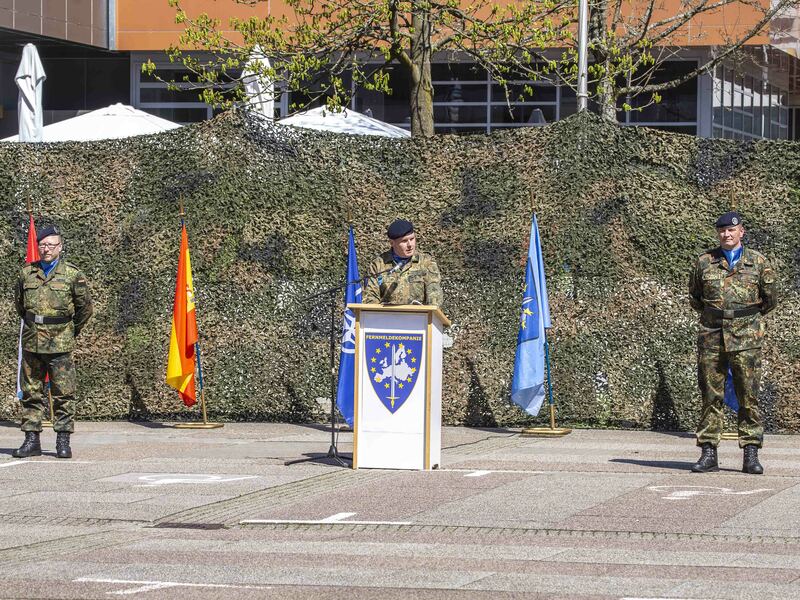 The commander of Eurocorps used the opportunity to honor three soldiers of the company for their action several days before when they saved a person at a traffic accident near the barracks of Lebach. The signal Company is part of the multinational Support Brigade of Eurocorps. 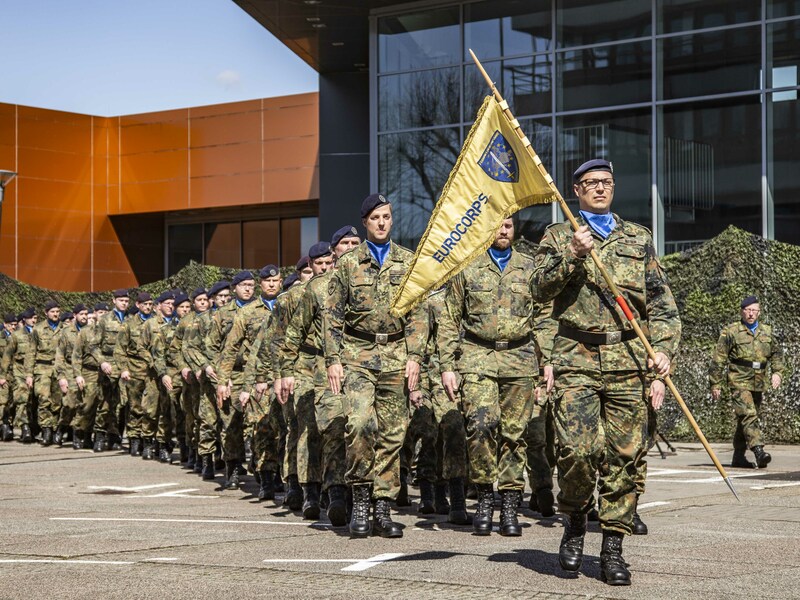 The main focus of the soldiers will be on the preparation for the Nato Response Force Phase in 2020 for the following months.